Grants, Donations, Events, And Overhead Can All Dictate The Pulse Of An Organization. Track It All With Denali Fund Accounting. 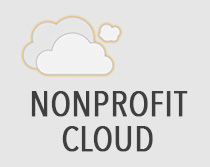 Denali FUND’s built-in security and uncompromising internal controls allow nonprofits to maintain oversight of staff, define role-based access for each user, and protect the reputation of all employees with the software’s embedded transparency. No one person could ever misappropriate funds without their colleagues noticing the incongruous activity. Nonprofit organizations have come to rely on the platform’s capacity for unlimited funds. All Cougar Mountain Software products offer a more sophisticated framework that allows for ease of entry, streamlined tracking, flexibility to set restrictions, and controls to maintain clarity and efficiency. Scalability: Unlimited funds, delineations, and bandwidth to handle as many accounts, at as large a scale as is required. Restricted funds: Authorization settings allow for Restricted, Unrestricted, and Temporarily Restricted Funds. Nonprofits effortlessly create ready-to-export reports, with views tailored to their audiences’ needs. All of them. No matter what you do, what you want to avoid, or what steps you’d like to improve, you can trust Denali FUND: this is The Accountant’s Accounting Software. Experience Denali FUND for yourself in a personalized live demonstration. Enhanced donor and grant management tools.